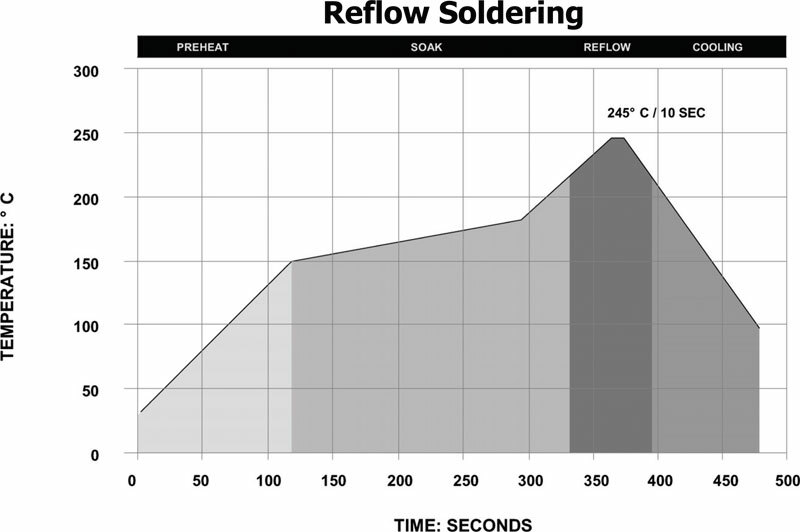 HALO Electronics recommends the following reflow soldering*, IPC/JEDEC J-STD-020C compatible, and wave soldering profiles for processing its Pb-Free surface mount and through-hole products. HALO SMT products are tested to withstand maximum peak temperature up to 260°C. Maximum duration of peak temperature shall not exceed 10 seconds. Maximum duration of temperature above 217°C shall not exceed 90 seconds. Maximum ramp rate up 3°C/down 6°C per second. * Temperature shall be taken from the component leads (pins). 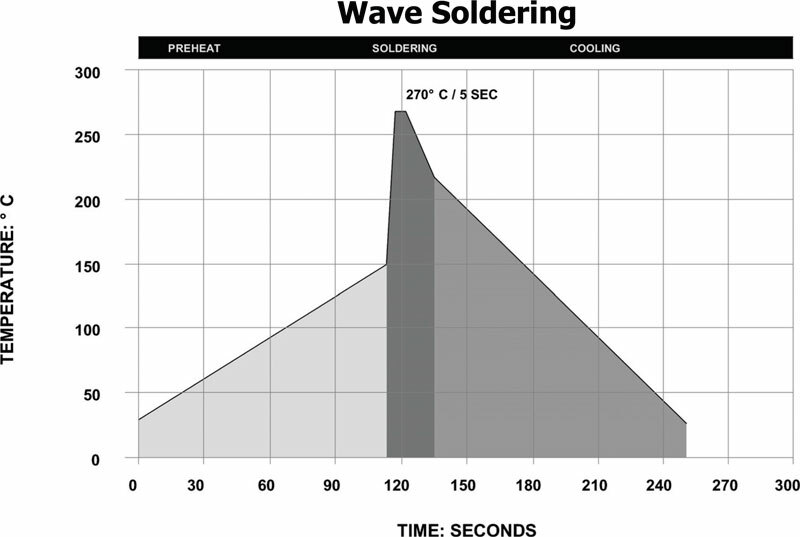 Maximum dwell time in the solder wave (270°C) shall not exceed 5 seconds.